How do I Fix Freezing up of AC Units? When your air conditioner isn't functioning properly, you may want to consider checking out a few things before calling in a repairman. Even if you can't fix the problem yourself, knowing what the issue is will help you direct a repairman to the right thing, possibly saving time and money. In many cases, however, your unit's problem is basic and once your detective work reveals what it is, you can fix it yourself fairly easily. Air conditioners can be stressed if not ventilated properly. Make sure the power cord is plugged in and check to see if the circuit breaker for the unit has tripped. Flip the circuit breaker off and then back on if it has tripped. Check to see if the unit will operate. If the circuit breaker has tripped and continues to trip, you will need to call an electrician to determine why. Clean the outdoor unit. Scrub the grill slats with a soft brush, soap and water to remove gunk, grime, pollen and any other debris that is clogging it. Trim bushes away from the unit to help with air circulation around it. Check the air return and vents indoors. 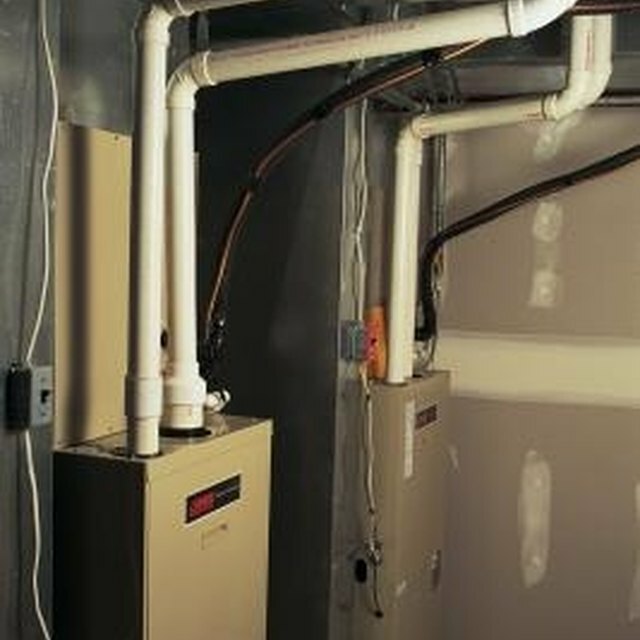 Ensure that all vents are open and replace the filter in the air return if it has not been replaced recently. Poor air circulation can cause the system to freeze up. Check over the system's air ducts. With the unit running, feel along the ducts for moving air. If you feel a breeze, you have a leak in the ductwork. Wrap the area with duct tape, starting several inches to one side of the leak and working across the leak to the other side. Feel the temperature of the air coming out of the vents. If it is cool, then the attention to the air circulation and the duct repairs were all that was needed. If the air is not cool, you may have a freon leak and need to have the system recharged. EPA certification is needed to obtain freon. Call a certified technician to install the freon or obtain EPA certification through an online program and purchase the freon from a HVAC supplier. Unscrew the panel on the side of the outside unit. Check all the valves on the charging gauge to ensure they are closed. Connect the blue tube on the gauge to the freon tube in the system. The freon tube is the larger of the two. There should be a valve for you to connect it to. Attach the yellow gauge tube to the freon bottle. Open the system valve, then the gauge valve for the blue tube. Next, open the yellow tube valve and the freon. Watch the gauge. Turn off all valves when the pressure reaches 70 psi. Take out the tubes and close up the panel.